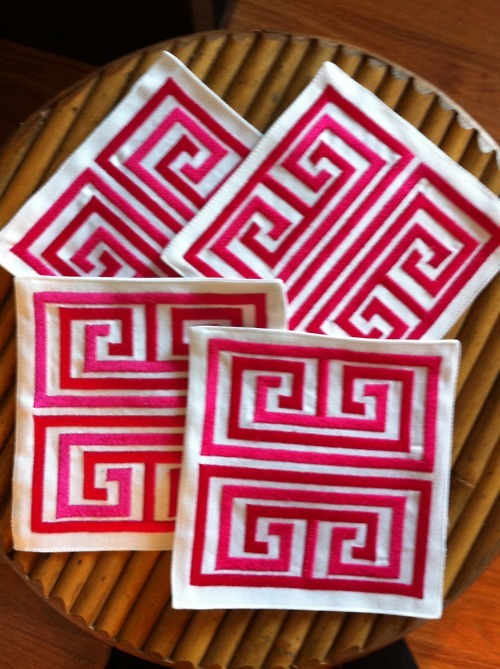 I received these wonderfully chic Trina Turk cocktail napkins from a family friend for my birthday this weekend. Aren’t they fabulous? You can mix and match with yellow or this vivid magenta for the perfect feminine flair to your next party.